Bad news folks. The government shut down will close the National Parks in East Tennessee. WATE is reporting that restrooms, picnic areas and all other facilities will be closed. This will be a problem for anyone who has planned a weekend getaway or longer vacation. 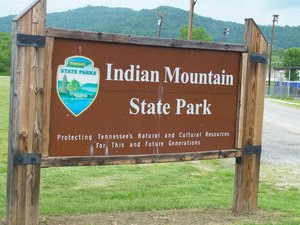 There are several National Parks in Tennessee that will be effected. Here are some alternative suggestions that you may want to consider. We have more ideas on this link. This historic site is in downtown. There are still plenty of things to see and do. Try the Nathanael Greene Museum or drive by the Dickson-Williams Mansion. Numerous hiking trails are scattered throughout TN. You can find out all about them on the State Park website. It's nowhere near as large as Big South Fork but Indian Mountain could be an alternative. It has campgrounds, two walking trails and picnic facilities. Click through this link for the full scoop. Other alternatives might be Cove Lake or Big Ridge State Parks. Did you know that there is a Town of Cumberland Gap? Would you have found it if you weren't looking into the National Park alternatives because of the government shutdown? Visitors can take the opportunity to stroll through the town. You'll be driving through some of the same beautiful mountains that you would if going to Cumberland Gap National Park. The town of Dover has a list of area attractions available. View their website to get ideas. Visitors making alternative plans might want to consider a drive on the Cherohola Skyway. This National Scenic By-way runs through several Tennessee counties and into North Carolina. Quaint shops are scattered among the communities along the highway. Splendid scenery includes waterfalls and hiking opportunities. Visitors may want to call the Visitor Center in Telico Plains at 423-253-8010 or click the link above to learn more. These are just a few ideas. Check out the two links at the top of the page for other National Park alternatives. You are sure to find something fun to do. Whatever you choose, it's good to know that the possible government shutdown doesn't have to ruin your fun. I feel your pain. We'd planned a lovely getway too. Surely this will be avoided or short lived. I hope that your vacation can be salvaged. There is a lot to see and do here.